Chevy’s selection of pickup trucks is seemingly wider than ever, as customers have a number of outstanding options that they can choose from. Of course, choosing one of these vehicles is easier said than done. Sure, your budget may play a role in limiting which of these offerings you ultimately pursue. However, assuming that money isn’t an issue, you’ll want to determine which of these four main options is best. Below, you’ll find which types of car buyers each of these pickup trucks ultimately appeal to. Whether you’re seeking versatility, strength, dependability, or a combination of these three attributes, you’ll undoubtedly find a Chevy truck that fits your needs. … the Chevy Colorado is the perfect option for you. This assertion is directly attributed to the trio of impressive engine options that are available on the 2017 version of this iconic pickup. These systems provide drivers with power, efficiency, or a mix of the two attributes, which ultimately gives drivers unmatched versatility. It starts with the 2.5-liter four-cylinder engine which, despite its size, is capable of delivering several impressive specs. While the engine’s ability to pump out 200 horsepower and 191 pounds-feet of torque may not sound all that impressive, it’s important to note that they’re both best-in-class specs among four-cylinder engines. These numbers predictably play a significant role in the truck’s 3,500-pound towing capacity. Furthermore, the unit is also capable of delivering a best-in-class 20 city/26 highway mile per gallon fuel efficiency, an incredibly impressive number for a pickup truck. 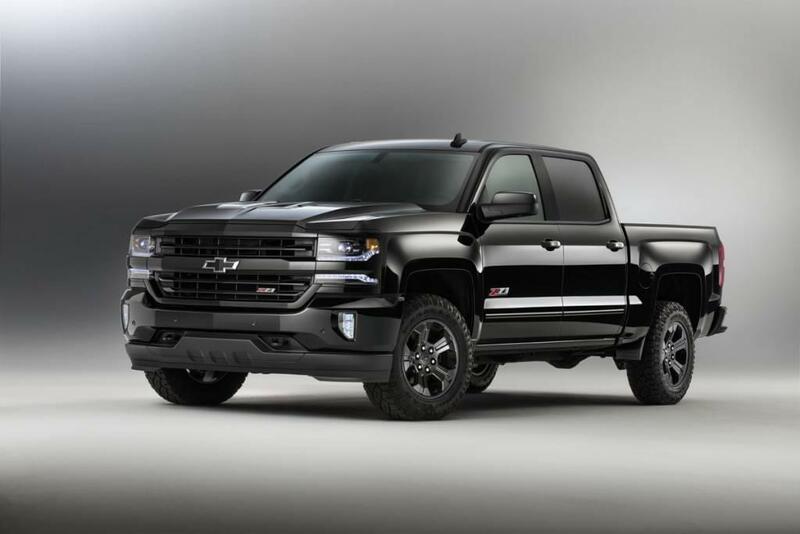 Meanwhile, the Duramax 2.8-liter Turbo-Diesel engine provides best-in-class specs across the board, starting with the 181 horsepower and the astonishing 369 pounds-feet of torque. Similar to the 2.5-liter alternative, this power plays a significant role in the truck being capable of towing 7,770 pounds. Meanwhile, drivers can expect an equally impressive 22 city/30 highway mile per gallon fuel efficiency. Finally, the 3.6-liter DOHC V6 engine is the most hulking of the three options, which probably explains why it delivers a best-in-class 308 horsepower. Drivers can also expect 191 pounds-feet of torque, resulting in a best-in-class 3,500-pound towing capacity. The cherry on top is the perfectly solid fuel economy, which comes in at 20 city/26 highway miles per gallon. … then the Chevy Silverado 1500 is the best choice for you. This strength applies to various aspects of the pickup truck, particularly the engine and safety. Similar to the Chevy Colorado, potential customers will find that the brand offers three different engine options with their Silverado 1500. It starts with the 4.3-liter V6 engine, which pumps out an impressive 285 horsepower and a best-in-class 305 pounds-feet of torque. Predictably, these numbers play a significant role in the vehicle’s 7,600-pound towing capacity. The 18 city/24 highway mile per gallon fuel efficiency is certainly an added benefit of this particular offering. Meanwhile, the 5.3-liter V8 engine offers similar power specs, including 355 horsepower and 383 pounds-feet of torque (resulting in a 11,100-pound towing capacity. Despite this power, the engine still manages to pump out a best-in-class 16 city/23 highway mile per gallon efficiency. Finally, for those seeking the utmost strength, the 6.2-liter V8 engine is the perfect option. The system delivers 420 horsepower and 460 pounds-feet of torque, leading to a best-in-class 12,500-pound towing capacity. Meanwhile, the engineers’ clever decision to mold the Silverado with high-strength steel should prevent many types of damage. The steel bed won’t be punctured by any toppling cargo, eliminating the concern that often accompanies trucks composed of aluminum. Meanwhile, the hydroformed, high-strength steel frame and the nine cross members will provide the utmost protection in the event of an accident. … then the Silverado 2500HD is the perfect choice. After all, there’s a good reason why the pickup has been named the “Highest Ranked Large Heavy-Duty Pickup in Initial Quality” by J.D. Power. The two engine options (the VortecTM 6.0-liter V8 and Duramax 6.6-liter Turbo-Diesel V8) are certainly impressive, providing drivers with an insane amount of horsepower and torque. Engineers also included a number of accompanying systems that should also impact the driving quality. For instance, the Digital Steering Assist will provide drivers with a more stable, dependable ride, while the incredible 3,534-pound payload means you won’t have any issues hauling your desired cargo. There are a number of other technological inclusions that should make the entire driving experience a whole lot easier. The Trailer Sway Control allows drivers to monitor their hauled cargo, assuring that it isn’t bouncing out of control, while the accompanying Trailering Camera System allows you to keep an eye on those materials or aggregates at all times. The Diesel Exhaust Brake System is especially useful when you’re traveling uphill or downhill, and the Fifth-Wheel Trailer Hitch means you can ride and tow with absolute confidence. … then the Silverado 3500HD is the pickup for you. This shouldn’t be too much of a surprise, as the vehicle is the priciest Chevy pickup for a reason. The powerful and reliable engine options make this truck a perfect option for any type of driver, whether they’re going to be relying on the Silverado for the worksite or for commuting. The truck bed includes a number of features that won’t just make loading and storing your cargo a whole lot easier, but should also reduce the damage that these truck beds often encounter. Of course, the quality of the interior is also unmatched. Besides providing their customers with a quiet, peaceful ride, Chevy also included a number of technological amenities that should keep occupants entertained. Engineers even included Teen Driver Technology, making the Silverado 3500HD a perfect choice for those younger, inexperienced drivers. Hopefully your decision is now a bit easier. Now that you have a better understanding of which pickup is best for you, you can start shopping for Chevy trucks in Albany. Fortunately, it shouldn’t take you nearly as long to choose the perfect dealership. DePaula Chevy offers the most competitive prices in the area, and the knowledgable sales staff will have you cruising off their lot in a new truck in no time!